and two intersections on penelope canvas. the tent stitch can be. The original purpose, and meaning, of darning was the repair and/or reinforcement of areas of clothing and linens where the fabric had been torn or had worn thin creating a hole. Samplers were stitched by young girls in the 19th century as practice for learning sewing and mending skills. Contrasting colored threads would be used so that the young girls could see their work. 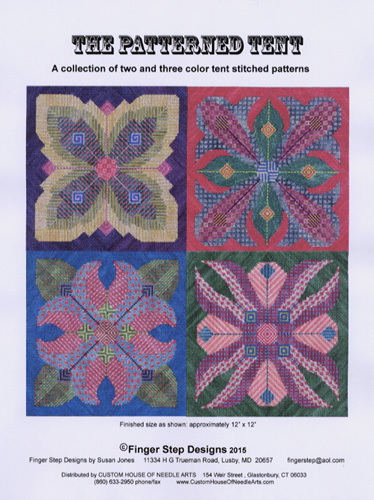 When practicing with a contrasting color, visual "patterns" emerged. 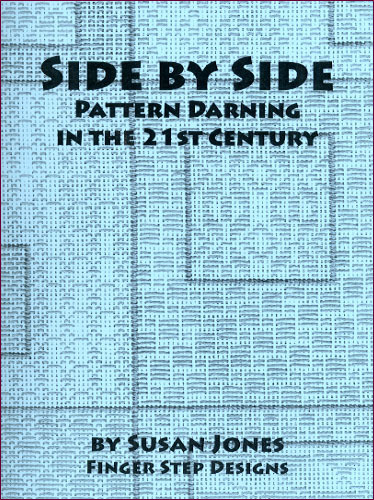 Pattern Darning joins the many stitches used in needlepoint and counted thread embroidery as means of creating images and decoration on fabric and canvas. patterns, borders, stand alone motifs, and medallions.